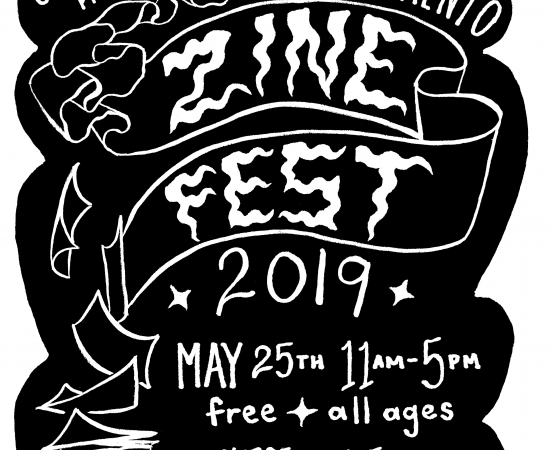 Unibrow Collective is proud to present the second annual Sacramento Zine Fest taking place on Saturday, May 25th, 2019 from 11 AM – 5 PM in the gallery of Verge Center for the Arts! Sacramento Zine Fest is an all ages, free, and open to the public event showcasing 30+ vendors that independently publish zines, books, artwork, and other such printed materials for display and purchase. It will also feature tunes by MC Ham and a reading area for lounging and enjoying your finds. Unibrow Collective is a Sacramento based art collaborative, comprising of Natalye Valentina and Daniel Alejandro Trejo, that seeks to help in the cultivation of the Central Valley’s burgeoning contemporary art culture by erasing artist divisions and blending the boundaries of “high” and “low” art into a unified one.